What is your pattern knowledge? I have been creating patterns for two decades, but have only recently begun offering my patterns to the public. As a pattern maker, I strive for perfection, but I sometimes fall short. I am always open to feedback to improve my patterns, instructions and the information available to my customers. If you ever have an issue with a pattern, instructions or fit, please feel free to contact me and I will do my best to resolve your issues. My patterns are drafted by hand or drafted directly in my pattern making software, PolyPattern. My pattern designs are initially tested on my size (which is currently a 16/18 and a 38J), then graded for other sizes. I test most of my size range in house through the use of friends and family that are gracious enough to be my guinea pigs and like free stuff. I have a Facebook group for pattern testers, but I generally will have a pattern in its final stages before enlisting assistance through my testing group. I do however have a need for a few testers in my 2X and 3X sizes. In my quest to be the best pattern maker than I can be, I am developing most of my patterns for multiple bust sizes as well as a fairly thorough size range. I have even created many of my patterns in kids sizes (by request of my 5 year old). How are your patterns sized? Determine your band size by taking your underbust measurement and add 2” if it is an even number and add 1” if your measurement is an odd number (add 3″ for a looser fitting waistband). Based on the band you have chosen to work with, measure your full bust and round to the nearest whole number. Subtract your band number from the full bust measurement. For each 1” difference, add a cup size. What file format are your patterns? All downloadable files are provided as a zipped file. PCs have an unzip software inherent to the operating system. Macs do not. You will need to download an unzipping software from the Apple store to read these files. iPhones and iPads are unable to access these files. It is recommended that if you are planning to print or view from one of these devices, that you download DropBox or Google Drive and place your unzipped pattern files into your cloud storage. What are the printed file sizes? Each download contains several files. The instructions are in their own file. They are designed for US Letter size paper, but there are no patterns included with the directions, so you can select “Fit to Page” on printing. In some instances, there are separate files for each size to make printing easier. There are separate files for each paper size: Letter, A4 and large format. The large format sizes will vary from pattern to pattern, but they are generally designed for A0 (33″ x 46″) or A1 (23″ x 33″). Both of these sizes can translate to US sizes of 36″ x 48″ and 24″ x 36″. Be sure to print all patterns at full scale or “100%”. As an added feature, we are also offering printed patterns and instructions. Our large format printer prints 24″ wide and is black ink only. Our pricing is based on approximately $1.50 per page for large format. Some may be less, but this is our general guide. For patterns with multiple sizes, you can select as many sizes as you need printed. The printing price is on top of the pattern license charge. You can also use printing services such as PDFPlotting.com to print your patterns. Their printing costs range from 60 cents to $1.20 a page for black and white copies, but shipping charges start around $7. Our PDF files for both Letter and A4 sizes are designed so the pattern can be printed edge to edge. Each joining edge is overlapped by 3/4″ and has a central guideline in the middle of the overlap. To line up the patterns, you can trim on the line or match up the pattern markings. A general printed pattern layout is provided with the instructions. Note that larger sizes might contain an additional column of pages that might not be pictured in the instructions. Immediately after checkout on Porcelynne.com (except for payment by check), your order summary page will contain a link to download your zipped pattern file. This link is NOT sent my email. 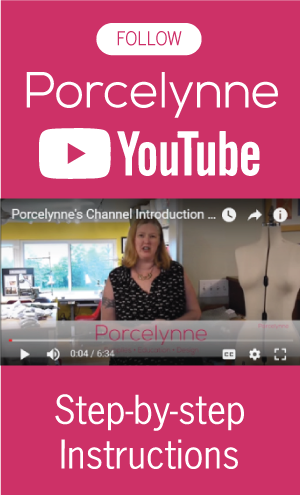 If you do not download your file immediately, you can access this file at a later date by logging into your account on Porcelynne and select the order you placed. Inside the order details, there will be a link for your download. If the link is no longer active, please contact us and we can reactivate it for you. We are in the process of changing the expiration dates of our digital files, but not all patterns and books have been updated. What happens if I purchase the wrong size? On occasion you may select the incorrect size at check out and we understand that mistakes can be made. We will evaluate each issue individually, but first instances of an incorrect size purchase may be refunded with the correct size being purchased separately. For repeat offenders, refunds will not be issued more than once. Please make sure to read the description carefully when ordering. Can I use your patterns for my business? We allow business use of our patterns, but have some restrictions. 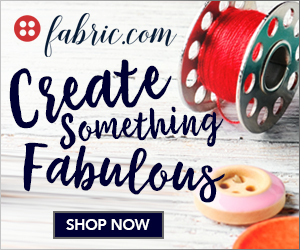 If you are a small business, do custom sewing or teach classes, you can now use our small business licensed version and use this pattern up to 1000 times. If you are a mid-sized business and would like to use our design between 1001 and 5000 times, the license is priced at 10x the standard license. With this license you can request additional file types including editable Illustrator files, DXF and PolyPattern file types. If you are a corporation and plan to use this design for over 5000 pieces, you will need to purchase the corporate license, priced at 100x the standard license. You may request additional file types after purchase.